BSEB Result 2016, BSEB Matric Result, BSEB 10th Results 2016, Bihar Matric result 2016 will be soon published on the board’s official sites either biharboard.net or biharboard.bih.nic.in. Below is the detailed instruction which students can follow to check their results online on the web. 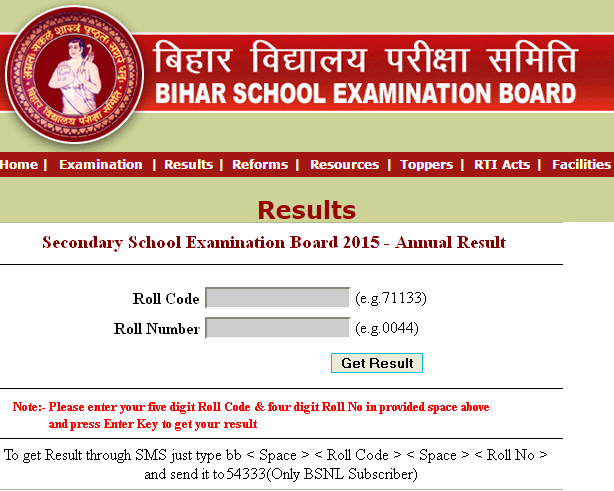 Bihar Board Matric (Class 10) Year Examination Results, BSEB Bihar Matric Exam Results 2016. Below are the steps to follow. Visi the official websites biharboard.bih.nic.in and biharboard.net. Enter the asked details like roll number and others. Click on the submit button and the results will appear on the next in front of you. Save it to your device and take a print out for future reference. The official authority has employed two helpline numbers. BSEB contact numbers are 0612-2235161, 0612-2226926 and 0612-2225549. The fax number is 0612-2222575. Candidates can follow the above instructions, and if they face any problem, they can contact on the above-mentioned numbers to get help. Also, you can post your queries below in the comments. Other users or our team may be able to solve your questions. The Bihar School Examination Board came into existence to hold and conduct exams at the end of the secondary school stage. Apart from the examination, its works include a prescribing course of studies for these kinds of papers. It also has many other essential duties and responsibilities to carry out. They are necessary for the purpose as stated in the rules and regulations of the board. Every year, BSEB conducts annual secondary school exam in the month of February and March while supplementary school exams are carried out in August or September month as prescribed in the syllabus of course by the state government.